We will be holding our traditional decorated egg display. The school council have decided on this years theme. Children may submit individual or family entries, which will be placed in our house teams to decide a winner. Design and create your egg based on any staff member or make a scene incorporating Forest School. Your year groups topic – for example Year 4’s topic is Egypt so you could design a Tutankhamun egg with pyramids. 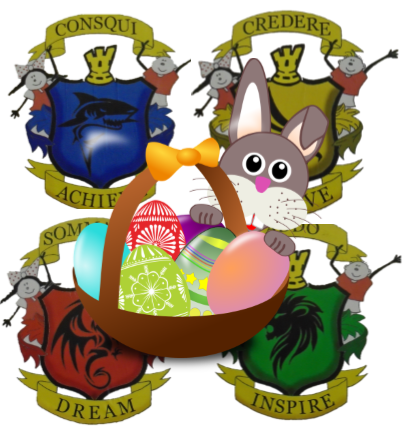 Whichever theme you decide children will win house points and a cream egg. Eggs must be hard boiled. Entries must be named and clearly labelled with their house to gain points. Please bring in your entries from Monday 27th March 2017. Winners will be announced Wednesday 5th April 2017.